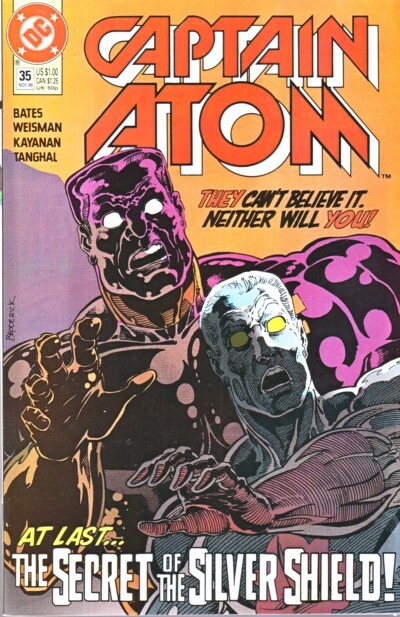 "Captain Nathaniel Adam was involved in an ill-fated experiment which ended up disintegrating him. 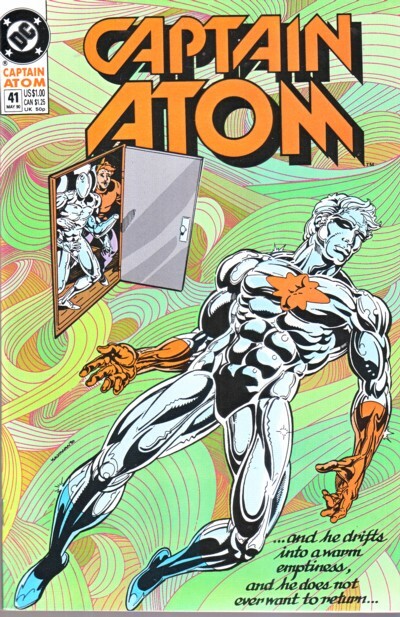 Somehow, his consciousness survived and he managed to reintegrate himself through sheer force of will. 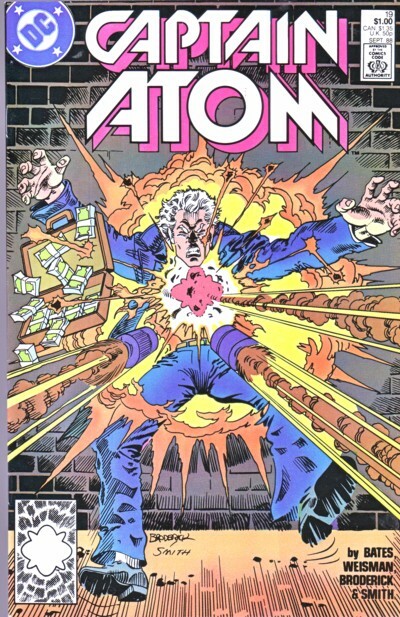 Moreover, he had new abilities based on the atomic power that now flowed through him. 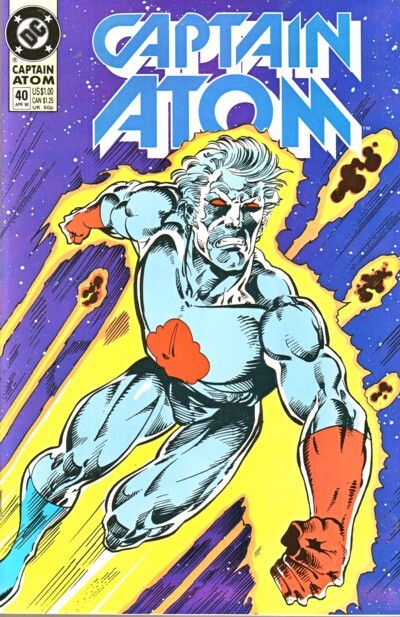 He could fly near the speed of light, fight with super-strength, pass through solid objects, and focus energy blasts through his hands. 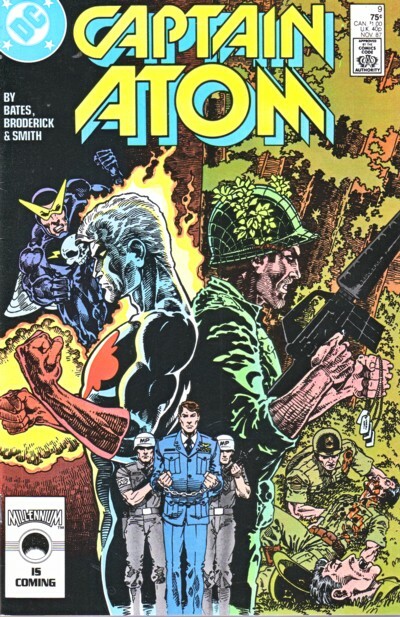 These powers made him a super-hero, as well as a key part of the national defense strategy. 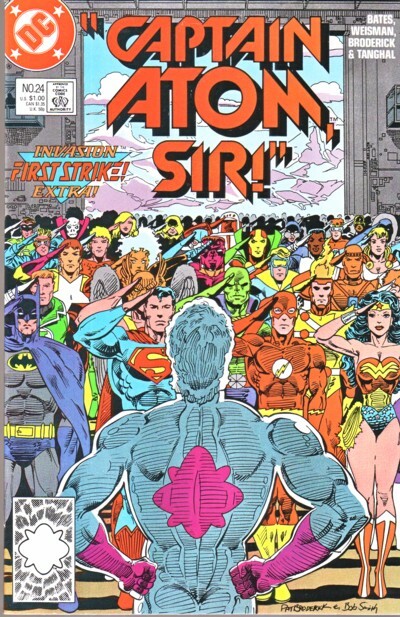 To ensure his loyalty however, two unscrupulous generals resorted to blackmail, framing him for the murder of a high-ranking general. 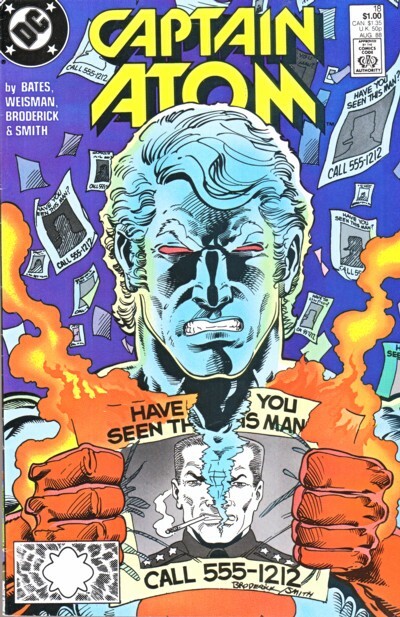 Luckily, he was eventually cleared of these charges. 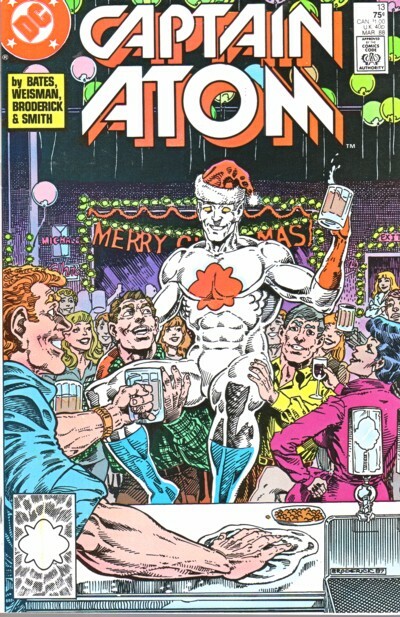 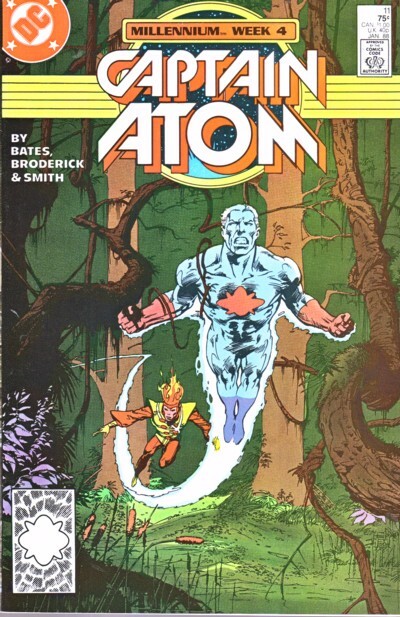 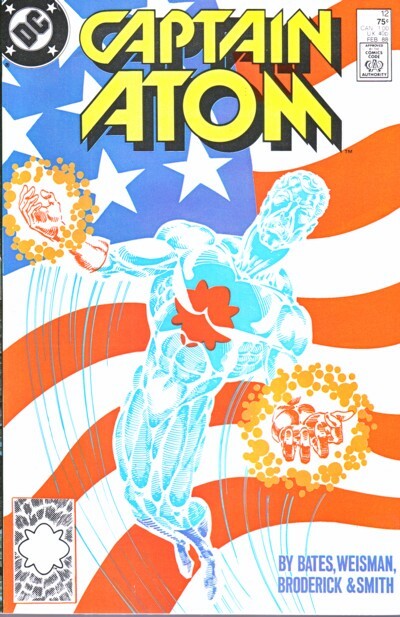 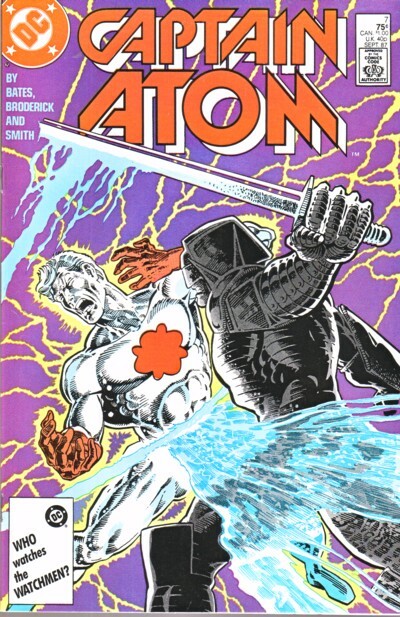 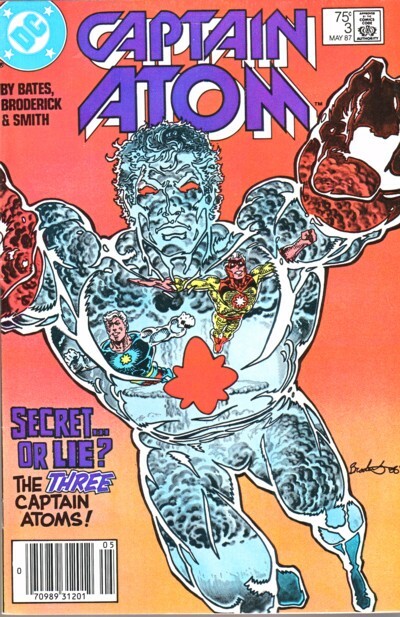 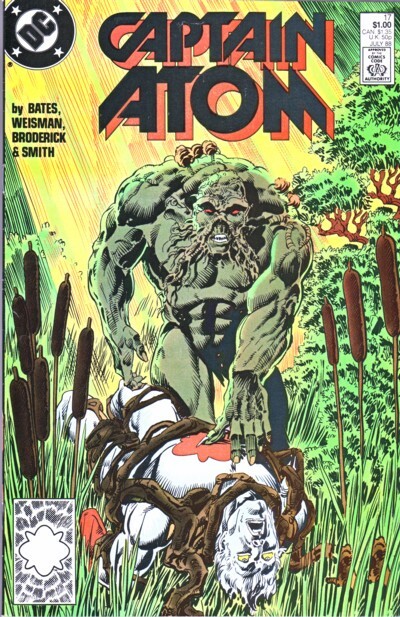 Captain Atom was originally a character from Charlton Comics. 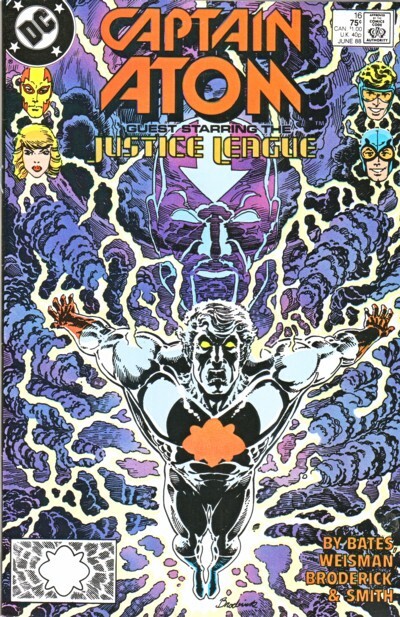 He moved over to DC, along with the Question and Blue Beetle, in the Crisis on Infinite Earths." 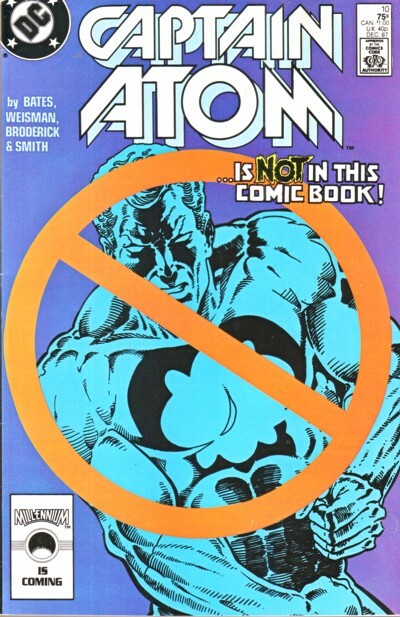 - ComicBase™ 7.0.